Moving can be a very stressful task, no matter how accustomed you are to it or how many times you’ve done it before. If you’re getting ready to move into a new home, your to do lists may be getting longer, and you may start to feel slightly overwhelmed. Thankfully, there are many ways in which you can simplify the moving process. In this article, we will school you through some expert tips when it comes to hassle free moving, so read on to find out more. Like most tasks in life, the earlier you start the moving process, the better. Whilst you can’t just up and go 3 months in advance, there are many things you can do before the big move to get yourself ready and organised for when the time comes. Only starting to pack a few days before your move is asking for trouble, so where possible, try to pack items that you don’t utilise every single day way in advance. That way, when the day of the move actually approaches, you’ll only have to pack your everyday essentials and items that you require on a daily basis. The earlier you start this process, the better. Experts in self storage in Canberra also advise that if you have larger items that you aren’t keen on bringing along with you but also do not want to get rid of, self storage is probably the way to go. Some of these items may include old furniture, boxes of clothing or just anything that takes up a fair bit of space. Getting all these things stored away will give you some extra space to sort out the packing process of all the things that you do want to bring along with you. Always remember, early bird gets the worm! We can’t stress how important it is to ensure that you’re purchasing quality packing supplies for your big move. 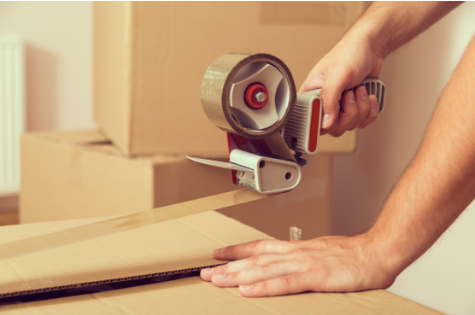 It may be tempting to use recycled cardboard boxes, but chances are they won’t be sturdy enough to transport your items, let along keep them safe during the move. You will need to have an arsenal of packing supplies such as strong cardboard boxes, bubble wrap, masking tape, duct tape, newspaper, marker pens and so on in order to simplify the packing process. Skimping on these items may result in your belongings being damaged during transport, costing you unnecessary amount of money in the future. Head to your local packing supply store to get all the essentials as soon as you can, and ensure that you are using the right materials for the job to prevent any future headaches! The last thing you want to do is confuse yourself, so labelling each box as you go is the best advice we have. As soon as you are done packing things into a box, it’s time to pull those marker pens out and start writing! We recommend packing items such as books and appliances together, so that you can easily identify and locate your items once you are at your new home. You’ll also save yourself hours trying to figure out where everything is, which will definitely come in handy after a tiring day of moving. There are a few ways in which you can label your boxes, form colour coding to text ledgers. Everyone has different preferences, so find what works for you and stick to it. Whilst most of your items should be boxed up and well secured, there are some things such as clothing that don’t actually require boxing up. One of the most popular ways for people to transport their clothes from point A to point B during a move is to store them in garbage bags. Now, this may sound outlandish, but don’t knock it until you try it. The benefit of storing and transporting your clothing in garbage bags is that takes barely any time and effort, and you can still have them hanging on a coat hanger. Keeping your clothes hanging on coat hangers will save you time both during the packing process as well as the unpacking process as you’ll just be able to grab them and hang them up in the wardrobe instead of spending hours trying to organise your wardrobe. Unless you’re superman or supergirl, chances are you’re not going to unpack your entire home on the first night, let alone even in the first week! This is why we advise you pack a box of essentials - everything you need for the first week, from toiletries, glassware, plates, cutlery, clothing, personal hygiene products and anything else you’ll need for the first week. This preparation will make your move so much easier, as you won’t have to stress about unpacking everything immediately, whilst still ensuring that you have everything you need for at least the first week! We hope that this article has given you some insight into how you can simplify the packing process. Moving doesn’t have to be a nightmare, and with a few tips and tricks, you’ll be settled into your new place in no time!